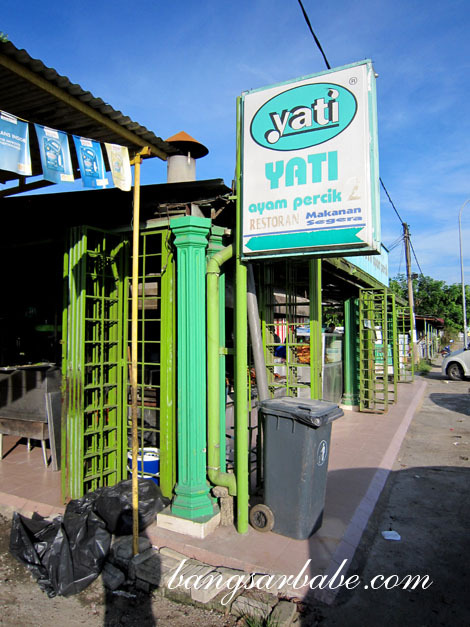 Yati Ayam Percik has been around for 40 years, serving traditional East Coast dishes such as Nasi Kerabu, Sattar, Ayam Percik, Gulai Kawah and Daging Bakar. They have two franchise outlets in Kajang and Bandar Baru Bangi, but I checked out the main outlet when I was in Kelantan this year. The restaurant, located along the main road of Long Yunus, wasn’t fancy. Just basic tables and chairs, and some pictures of their specialty dishes mounted on the wall. You can opt to sit al-fresco or inside, where there’s air conditioning. Given the country’s hot weather, sitting outside at 5pm is a death sentence. There are three types of rice to choose from – white, blue and yellow – served kerabu style (RM1.80). 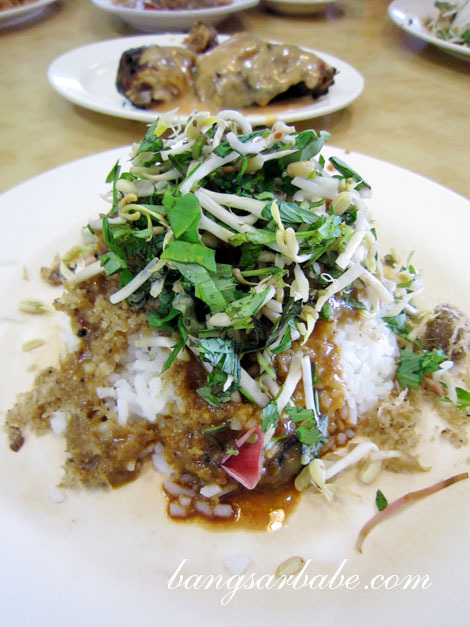 Only the white rice was available when I was there, and it came topped with herbs, kerisik, beansprouts, bunga kantan and chopped basil leaves. 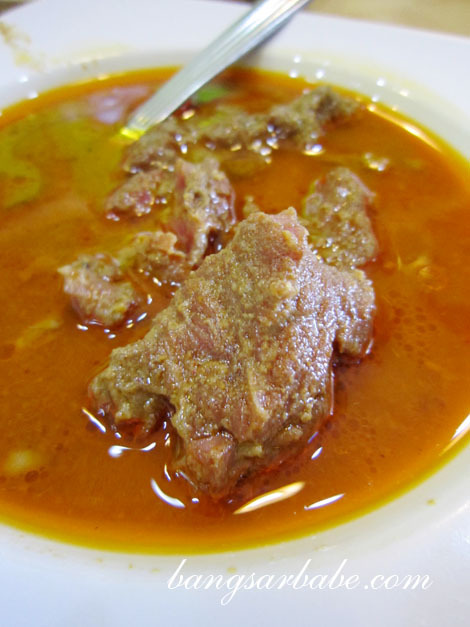 It was richly scented and delicious, especially when eaten with the kuah gulai. 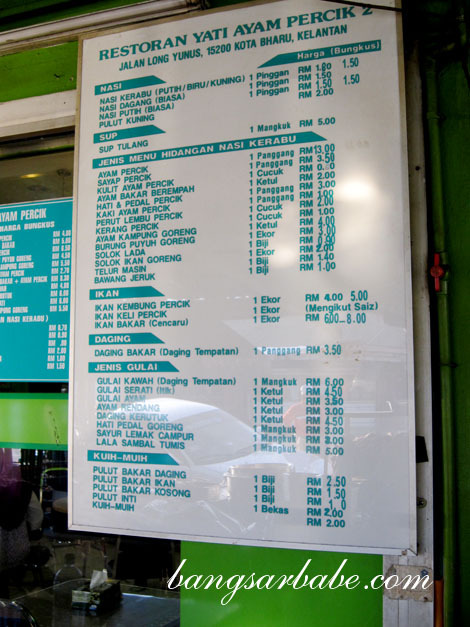 Ayam Percik (RM13) is a must-order at Yati’s, and I requested for the chicken leg. 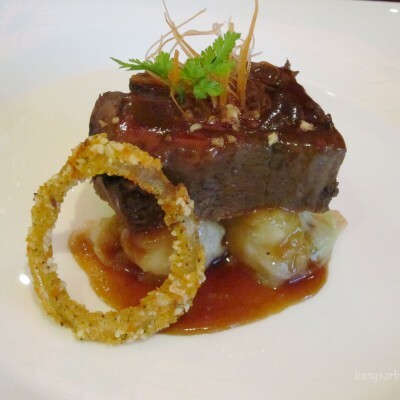 The spicy-sweet sauce was justly thick with a nutty aftertaste. Some might find this too sweet, but I was told Kelantanese food tends to lean on the sweeter side. It was also my first time trying the Solok Lada (RM0.90 per piece) – green chilli stuffed with ikan kembung and grated coconut. Think of it as the Kelantanese version of yong tau fu, except this is spicy and creamier. I especially enjoyed the meltingly tender beef pieces in the Gulai Kawah (RM6) but portion was very small. A plate of this wasn’t enough to satiate my large appetite. 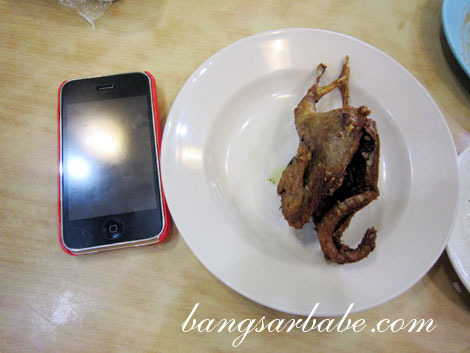 Don’t bother with the fried quail (RM3); it was skin and bones. Literally. 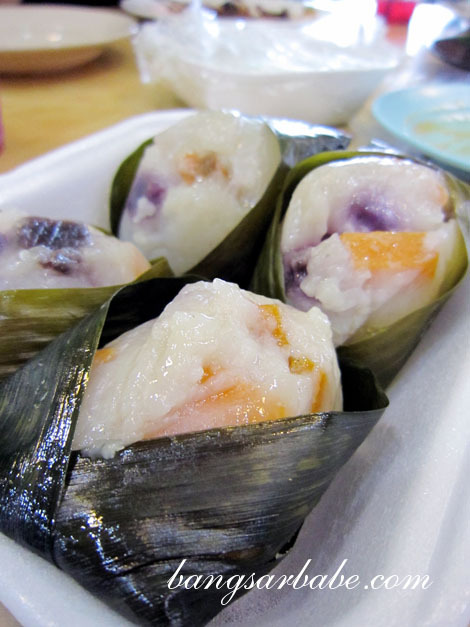 They also sell assorted kuih muih (RM2) – my favourite was the one with sweet potato cubes inside. 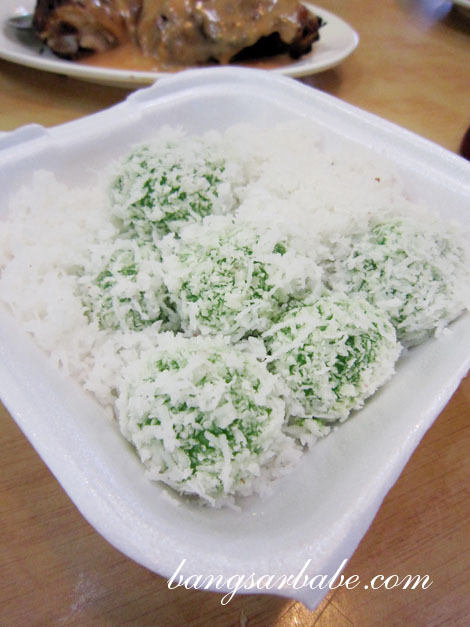 Not sure what this kuih is called though. We didn’t stuff ourselves silly as we wanted to visit White House for nasi dagang, coffee and toast later that night. Verdict: While some claim Yati’s Nasi Kerabu isn’t the best, I like that the restaurant offers a variety of Kelantanese dishes. i remember you saying that the ayam percik is the local version of butter chicken. right? 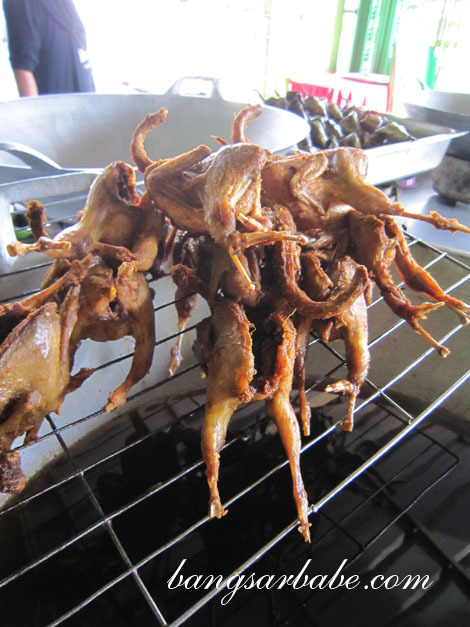 I didn’t know ayam percik Kelantan looked like that. I would prefer the sauce on the side. No lar…I don’t know of any ayam percik places. Lemme check with my Malay colleagues. I’m sure they know a few good and hidden ones. 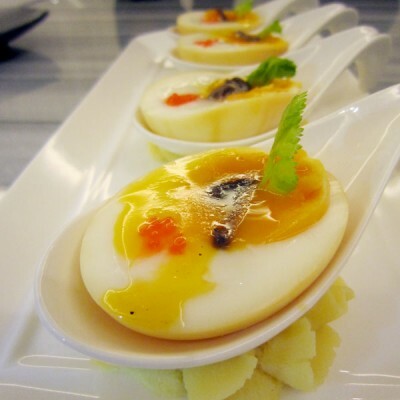 Yeah, haven’t got to trying the one in Selangor yet. 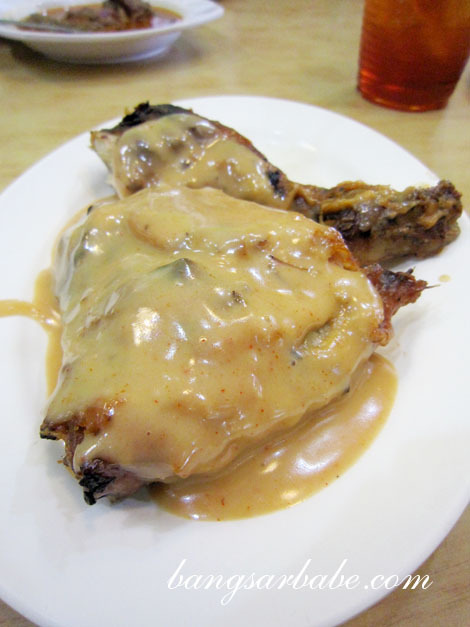 But Yati’s ayam percik was definitely a highlight for me in KB. Can’t wait to try the other Kelantan delights soon! 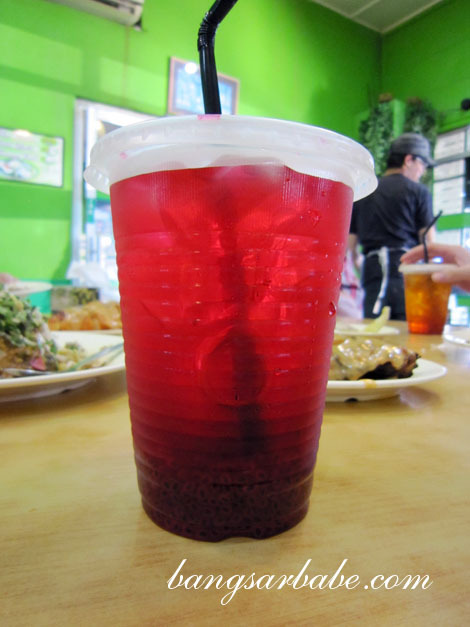 I think that drink is sirap with biji selasih, not Sirap Bandung. Sirap Bandung is the one in pink (with evaporated milk). I have been here a few times. I allways like to have the nasi kerabu with daging bakar (grilled beef). I agree the nasi kerabu here may not be the best. The better ones are the stalls after the 8th mile of Jln Kota Bharu to KB. In particular, I like the Nasi Kerabu at Kedai Makan Cik Siti. They only do breakfast. It a stall at a place called Kedai Piah at 11th mile Jln KB to Kuala Krai (left side if you are coming from Kota Bharu). There is also a stall selling good kuih Akok and Bahulu opposite Kedai Makan Cik Siti.